There was a brief period during the '90s when it seemed like virtual reality was the future of video games. Big names, among which Nintendo, Sega, and Atari, invested their time and resources towards bringing VR to the mass market. Alas, all these attempts failed miserably as neither the games were truly immersive, nor the hardware of the time was good enough for delivering a great virtual experience. Fast-forward to present day and VR is once again a hot topic across the tech industry. Has the prime time for mainstream virtual reality entertainment finally arrived? HTC seems to think so. 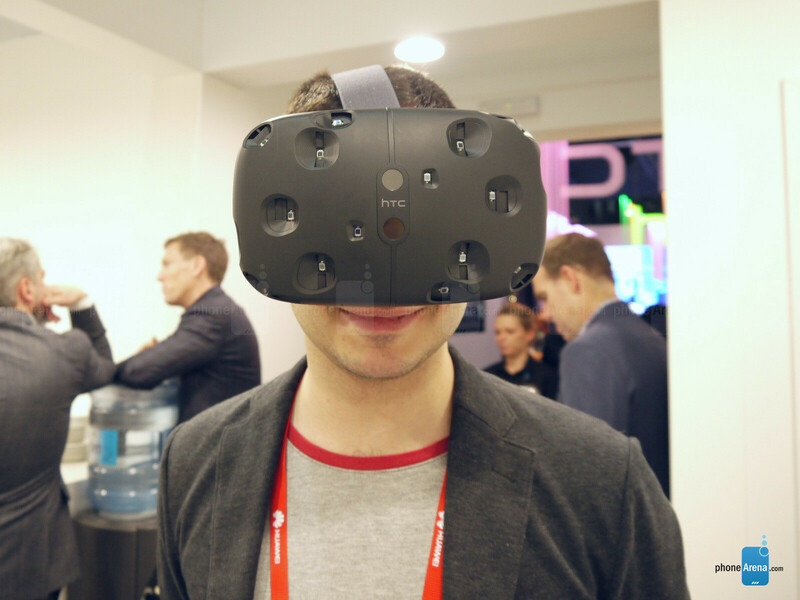 At MWC 2015, we witnessed the announcement of the Vive VR headset, which HTC has been developing in collaboration with Valve. Needless to say, we did not miss the opportunity to give it a try when invited, and boy was it a nerdgasmic experience! Before we share what using the HTC Vive VR feels like, however, let's focus on the hardware making this exciting device tick. 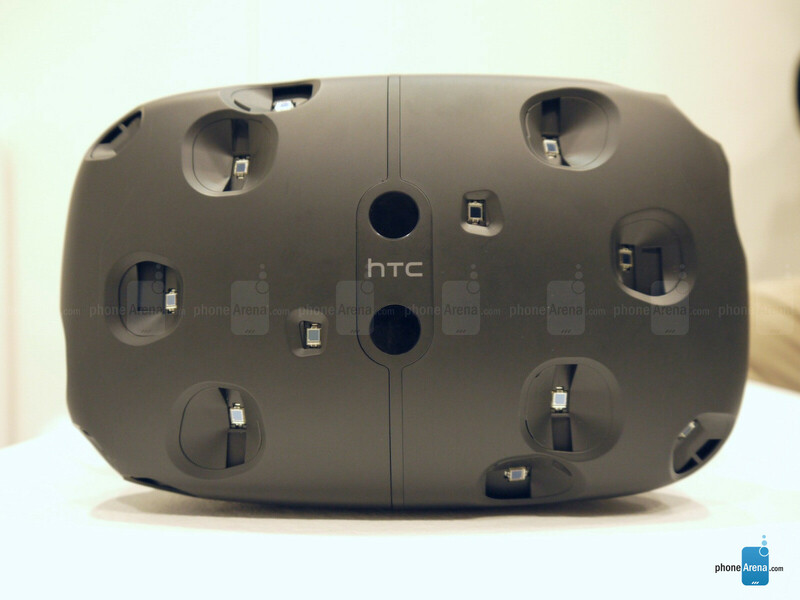 At a glance, the HTC Vive VR looks like most other virtual reality headsets. It is a nerdy contraption that fully covers the user's eyes while straps hold it securely in place. While not the most compact device of this kind, the Vive is light for its size, hence comfort wasn't an issue for us while testing it. As for the controllers, you get two of them – one for each hand. Reminiscent of the PlayStation Move controller, they feature a trigger button, a button at the side of the handle, and a large circular trackpad. Unlike existing VR products, the HTC Vive VR does not deliver a stationary experience; it actually lets you move around the virtual environment. To make this possible, both the headset and the controllers employ arrays of tiny sensors which are used for tracking the user's location. Position tracking in multiple dimensions is done with the help of two devices situated in front and on the right side relative to the user, at the upper edge of the respective wall. These beam invisible laser light across the room and enable the real-time monitoring of multiple Vive headsets and controllers within a 15 by 15 feet area. During the demonstration, the HTC Vive VR was hooked up to a computer which took care of the data processing. So were the two controllers. Of course, nobody would want a bunch of wires running across their living room, which is why HTC's aim is to make the Vive VR as wireless as possible. Eventually, the only wire you'll need to enjoy the VR goodness should be the one connecting the headset to a computer. 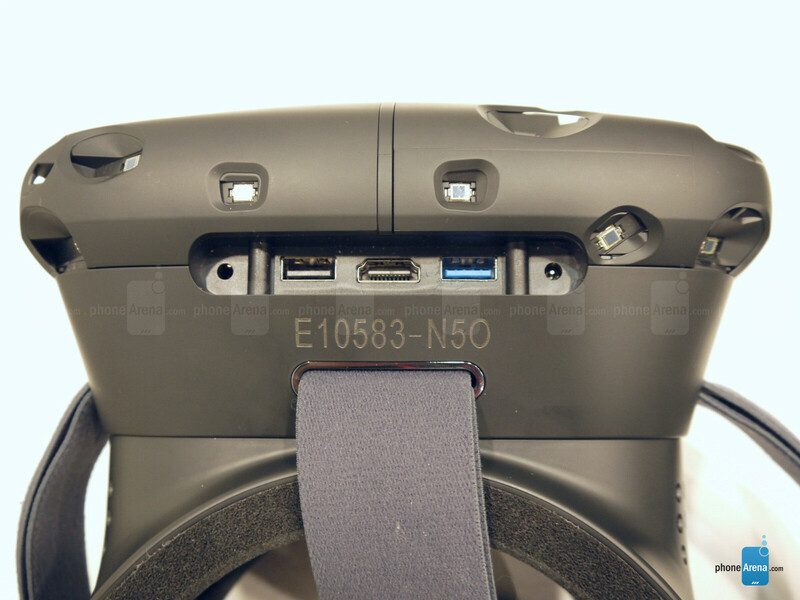 There are two 1200 by 1080-pixel displays inside the HTC Vive VR headset – one for each eye. In comparison, a Samsung Gear VR uses a Galaxy S6's QHD display with almost 3.7 million pixels, which is about a million more pixels than what the Vive VR has. Unsurprisingly, pixelation on the latter is noticeable, but it wasn't spoiling our fun in any way during the demo. The screens on HTC's headset operate at a respectable 90Hz refresh rate – the higher the figure, the better. In plain words, we were treated to a smooth, nausea-free experience. Okay, enough chatter. 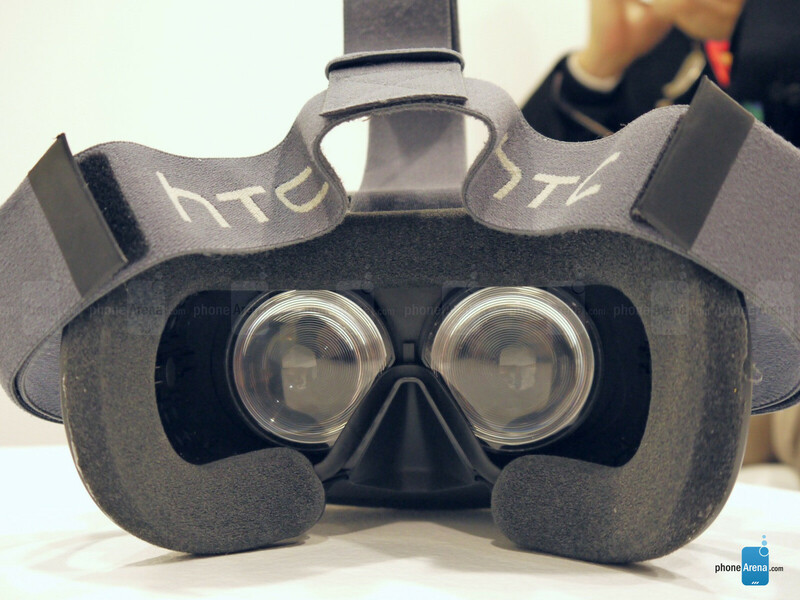 By now you must be eager to know what using the HTC Vive VR headset feels like. To summarize the whole experience, we were genuinely impressed by the truly immersive demonstration that HTC had prepared for us. We weren't technically capable of recording it, but we can still describe what HTC's team showed off their gadget with. The experience consisted of multiple interactive demos, the first of which was a tutorial. We learned how to use the controllers by blowing up virtual balloons and how to walk around a virtual plane as hexagonal prisms ascended from the floor around us only to descend as we got closer to them. Most importantly, we were introduced to the boundaries of the safe area – a virtual wireframe appeared where a real-life wall stood, informing us of a boundary's presence. Once we excelled our Vive VR 101 course, we moved on to the next demonstration, which was actually a game called Job Simulator. As the name implies, we were given a job – our task was to cook a hot tomato soup by picking up ingredients and putting them in a large pot. The controllers served the purpose of virtual hands which we used to interact with the virtual world. Speaking of which, the controllers were so accurate that we could feel our virtual hands exactly where our real hands were; we threw a virtual piece of toast up with one hand and had no troubles catching it with our other hand in mid-air. The third demo took us underwater, straight to the deck of a wrecked ship. This one made our jaws drop. Although we knew we were still in a small room on dry land in Barcelona, the sense of space and depth created within the virtual environment was definitely perceived as realistic by our brains. We stepped closer to what was left of the railing so that we could take a look down at the ocean floor, yet our instinct instructed us to take a step back to safety. At the same time, schools of fish were swimming gracefully around us, scattering as we shooed them with our hand. As the end of the demo approached, we were told to take a look behind us – a huge, beautifully-rendered whale had appeared. In fact, it was swimming so close that if it wasn't for the safe zone's limit, we probably could have touched it. Then we were thrown right in the middle of a strategy game's battlefield. It was a demo meant to show off how hundreds of detailed models could appear simultaneously and interact with each other in real time. While small, the units were rendered in high resolution, and we could comfortably take a close look at them. Tilt Brush was the next demonstration thrown at us. Basically, it was a drawing application with a three-dimensional twist, and the space around us was our canvas. We drew in mid-air using a rich palette of colors and a broad variety of dynamic brushes, and as we moved around, we could explore our creations from all angles. Not even a slight hint of lag was noticeable as we added stroke after stroke to our virtual masterpiece. And the last demo placed us in the middle of a robot repair facility where we had a go at fixing the malfunctioning Atlas – a robot Portal fans would recognize instantly. After failing, we got scolded by GLaDOS itself. At this point in time, predicting what the future holds for virtual reality entertainment is rather tricky. It might flop like it did in the '90s, it might become a commercial success, or it might simply become a new niche, catering to the needs of a small, yet loyal fraction of the market. 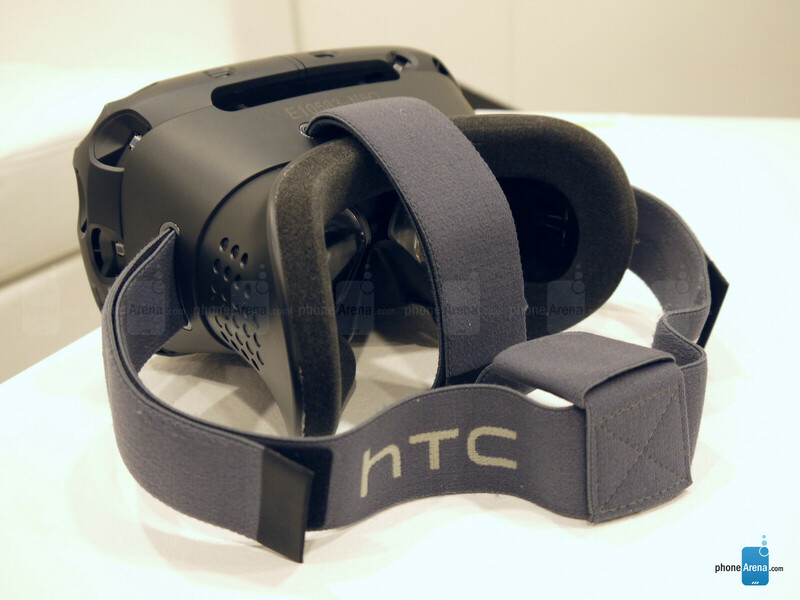 But in any case, HTC and Valve may have made a leading VR product – one that actually got both parts of "virtual reality" right by a) placing the user in the middle of a spacious virtual world and b) making this virtual world feel real through interaction, sense of depth, and ability to move around. Sure, you'll be looking like a dork while wearing the headset, but once you get immersed in the reality it creates, you probably wouldn't care. Does the Vive VR have any flaws? Sure it does. Firstly, you'll need to dedicate a fairly large, obstruction-free portion of a room to HTC's virtual reality headset and its motion sensing gizmos. One should also keep in mind that the Vive VR could be a pricey pleasure once all expenses are taken into account. You'll need not only the VR headset, but also a reasonably powerful computer to handle the data processing. And once it is launched, the Vive won't be successful unless it has a solid games and content library – one that HTC and Valve have less than a year to put together. 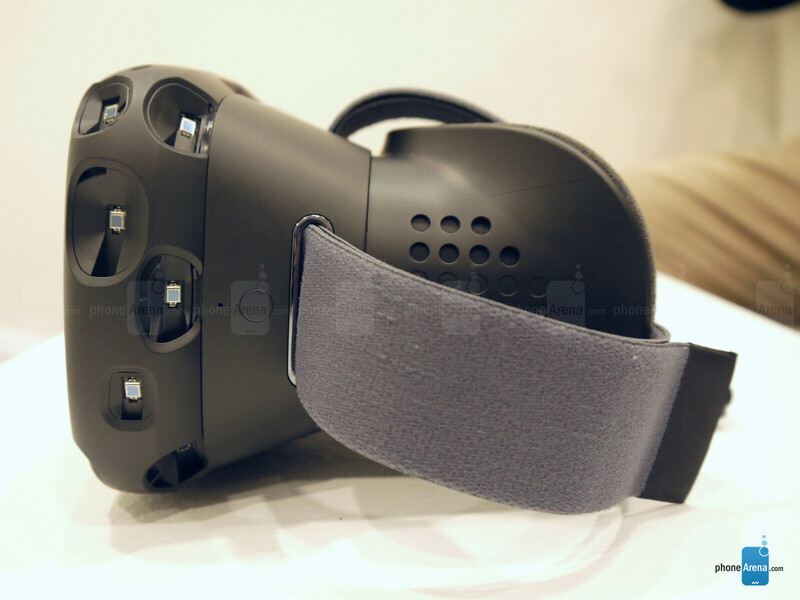 Nevertheless, we're hoping that the Vive VR will not disappoint once it is out on the market. That is projected to happen before 2015's end, right in time for the holiday shopping spree. Would anyone give it a shot? Let us know in the comments! I still haven't seen a comparison article pitting it against the Oculus. I hope there's someone who's tried both and can give a detailed comparison of both experiences. I'll wait for a wireless Android version, but otherwise this is a total want. You know what's amazing? They're not that noticeable on your face. It's just a chunk of black Swiss cheese in your face.